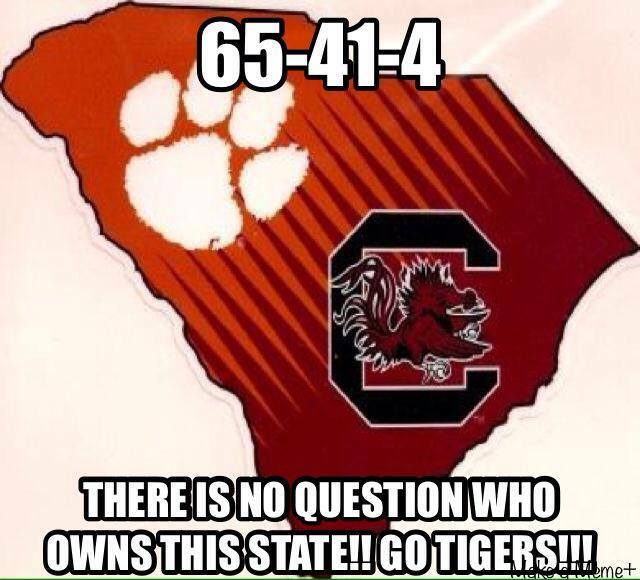 The numbers don’t lie, we own the Gamecocks. Gonna get win #66 this Sunday…GO CLEMSON! Happy Thanksgiving Greenville! BEAT SOUTH CAROLINA!